Henderson Tourist Commission – Shop Locally in Henderson, KY for Holiday Gifts & More! Henderson Tourist Commission / shopping jewelry handbags gifts holiday henderson kentucky downtown bicycle sports boutique presents / Shop Locally in Henderson, KY for Holiday Gifts & More! Shop Locally in Henderson, KY for Holiday Gifts & More! During the holiday season, take time to shop locally with Henderson retailers. After the holidays is also a perfect time to shop for items on sale! Below are some stores located in downtown. For a map of all locations, click here. Simon’s Shoes-Carrying Smartwool socks and UGG boots along with those hard to find sizes. Memories Past and Present-More than an antique store – great selection of gifts and collectibles, too. Alles Brothers-In stock furniture ready to go some for the holidays. Bernie’s Boutique and Consignment-ALL your favorite styles for less- look great for the holidays and all year! Breck’s Bicycle Shop-For the sports lover. Great selection of bike and bike parts. Campbell Jeweler-Make the holiday sparkle with beautiful jewelry from Campbell’s. Gabbi’s Boutique-The perfect place for precious paws. Animals clothing, food, toys and more. -You’ll find handbags, jewelry and more. -Your local solution for women’s plus size attire and fashion accents. The Gold Mine-Her favorite holiday gifts are at The Gold Mine! -Victorian house filled with a gift for the women on your list- FREE gift wrapping! Cocktail/Dinner and Mother of the Bride Dresses- Sports and Career Wear and accessories- Baby Gift Room. FREE gift wrapping! -Find something for the music lover on your list. . The Planet Interior Consignments– Redecorating? Designing on a budget? Then Come Explore The Planet! 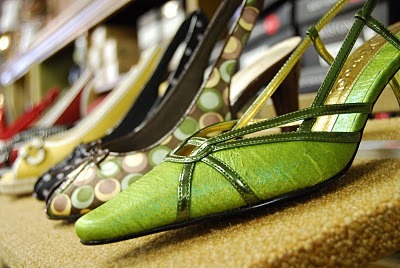 Balfour Rings and Things-Jewelry, Handbags, Shoes, Wraps & Ladies’ Accessories for the Holidays! Class Rings, Letter Jackets, & Graduation Products! Klassy Kids-A Children’s Specialty shop you won’t want to miss! For nature enthusiasts, check out John James Audubon State Park‘s gift shop located within the Museum. There’s Audubon memorabilia, prints, t-shirts and more! Products within are Kentucky Proud items. Have a friend who loves fishing and the outdoors? Why not give him or her the gift of a guided fishing tour on the Ohio River. More information available at Camo Fish Guide Services or call 1-270-748-6077. Or perhaps give the gift of a bottle of wine from Ruby Moon Winery. The winery, located off Highway 41-A also sales t-shirts and Kentucky gourmet cheeses. Stop in and sample the wines and warm up by the fire! This isn’t all! Lots of other shopping options are available on our website at www.hendersonky.org/shop.